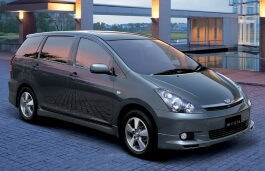 Correct Wheel Sizes, PCD, Offset, Rims and Tire specs for Toyota Wish series. Toyota Wish 2003 and 225/45R17 tires? 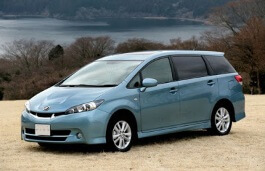 I just bought a toyota wish with 15" wheels and want to replace them by 17" alloy wheels. What side effects may arise ? Thx for reply. wish new shape 1.8s speedometer maximum speed 240kph and 18inch sports rims. I am in Nairobi Kenya and wish to buy the wish. I'm wanting to know what my stud pattern is please? Or how I am able to find that? Hi,Canary,What the year of your car?I can help you confirm it.